These comps were developed using the established creative direction for each individual Blizzard project. 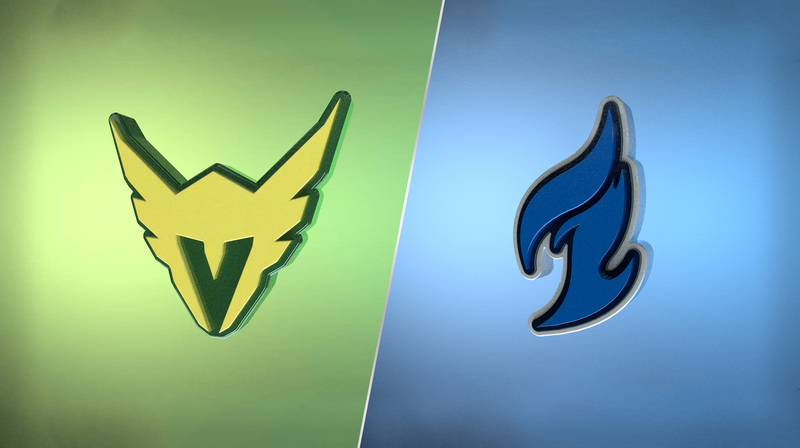 The Overwatch League team logo project was developed using correct team color pallets as well as complementary colors. The DVA Nano Cola Challenge email and social media assets were developed based on current content and aesthetic. Note: This page is continually being updated. All projects pictured are comps for design curation only. Overwatch League 3d compositing was developed using 3d extrusion in Cinema 4d and was created using correct team color pallets as well as complementary and tertiary colors. Real world application can be seen with interview icons and motion graphics. The Overwatch Event for DVAs Nano Cola Challenge had developed a number of assets that were reappropriated and redeveloped into email marketing assets as well as social media mobile motion graphics.